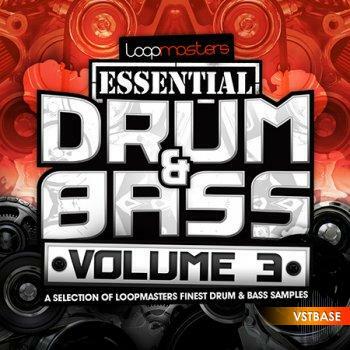 Loopmasters present Essential Drum and Bass Volume III – a storming collection from our award winning Drum and Bass collections, featuring 5 big names at the forefront of the industry. The Essentials Series from Loopmasters is a range of sample packs featuring a collection of Loops and Samples hand-picked by our in house team. These combine excellent value and enable you to sample a selection of 5 products which include some of the very best content for that Genre. In detail expect to find 384MB of content with 100 Wav Loops and 100 One Shot samples. These include: 31 Bass Loops, 20 Drum Loops, 20 Music Loops, 8 Perc Loops, 8 Top Loops, 3 Drum Fills and 10 Pad & Atmosphere Loops. The One Hits consist of 22 Bass Hits, 35 Drum Hits, 18 FX Hits, 21 Synth Hits and 4 Atmospheric Hits.